At a loss as to what to bring to a tailgate party? 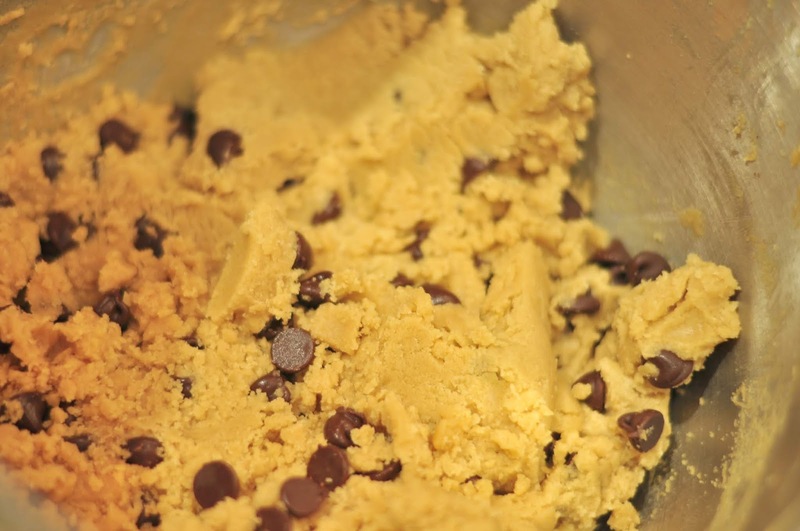 Looking for a sweet recipe that will make everyone's eyes light up in pure joy? I've got just the recipe for you that is sure to be a repeat treat request from everyone at your future gatherings. 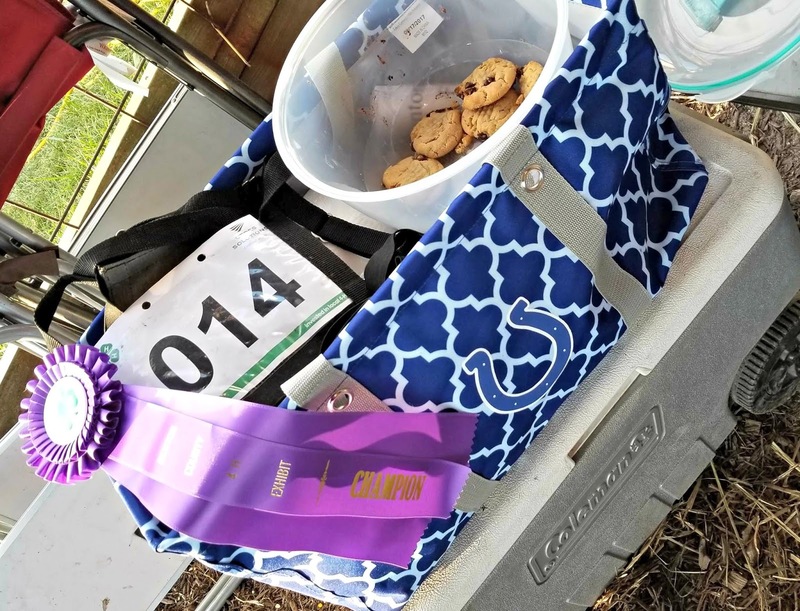 Whether you are packing a basket to go to the Colt's home opener, headed to the field with a meal for everyone out working to harvest our crops, or off to your kids' fall sports activities, these cookies are a must take to add to the food table. My mom makes the BEST peanut butter cookies, so I am naming her recipe after her, Grandma Becky's Peanut Butter Cookies. AND, just so you know, they were a prize-winning entry at the Tippecanoe County Fair Open Show many years ago! We chose wisely because these cookies went flying out of the container as soon as they were spied. Miss Bear's steer earned a special distinction at our fair by winning "Best Rate of Gain!" That means it put on the most weight between our first beef weigh-in and our last. He averaged a 2.9 pound a day gain. I have to say that I taught him everything I know about weight gain! Gaining 2.9 pounds in one day is not that hard to do! Seriously, though, we take that award quite to heart with our steers because their sole purpose is to grow up and become a healthy source of protein in your menu planning. Now I will tell that if you sit down and eat ALL these cookies, you, too, will be on track to compete with our steer in weight gain, but in moderation, these cookies have enough energy to get you through a long day of showing cattle or rooting on your favorite team! Remember, sharing is a good thing! That's what we did with a lot of our friends in the show barn. Sharing cookies goes a long way to promote peace on earth and good will toward all your fellow competitors. It also keeps those who help you happy! I have several friends loading up this very morning to head to the Indiana State Fair to show their livestock, and I bet you someone is baking cookies right now to take down and stash in a camper. I wish all the kids well at the State Fair. 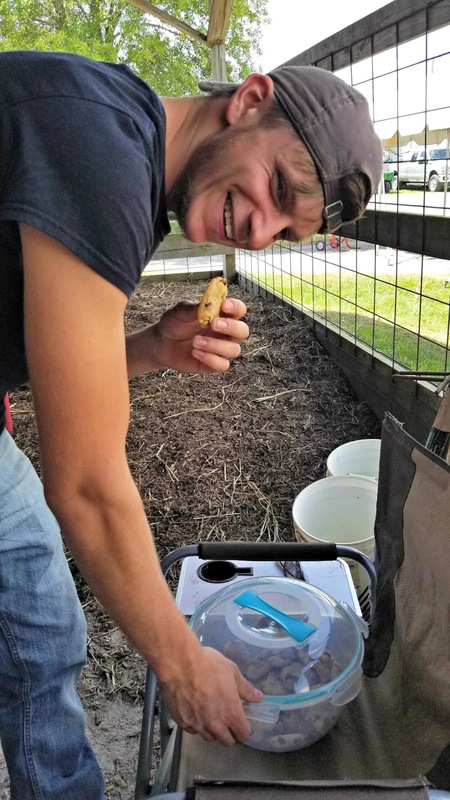 They and their families have worked countless hours with their animals keeping them well-fed and cooled off in the heat we had earlier this summer. 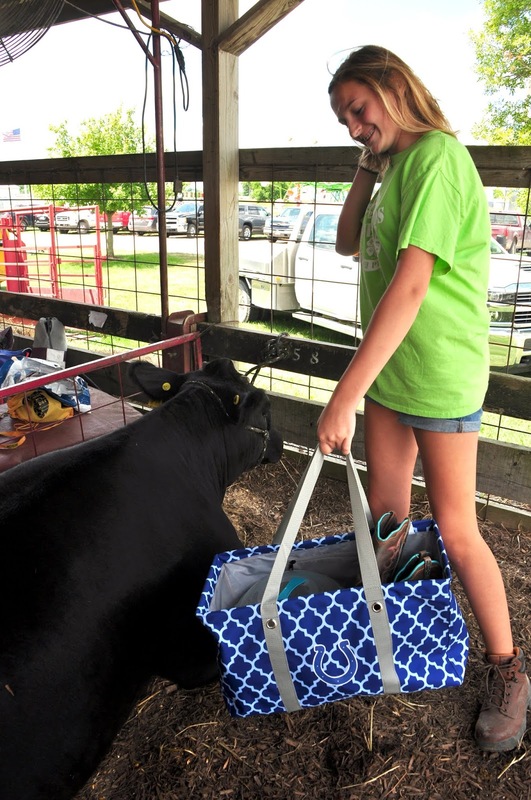 I'm sending a special shout to my Benton County Peeps who are going to be great representatives of our county's livestock production, AND another shout out to all the projects our county's best 4-Hers are sending down to be judged! 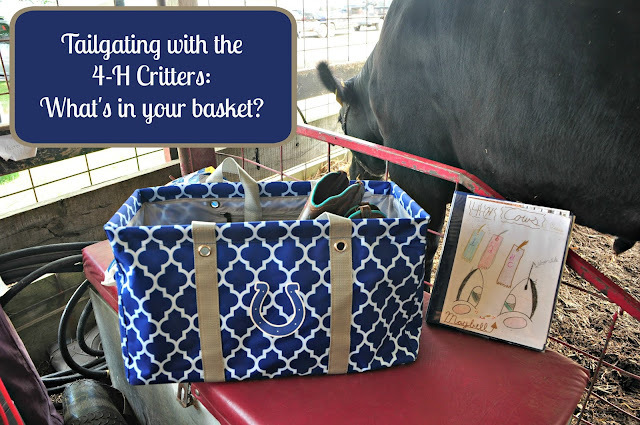 I hope you make it out to our state fair, and take in a preseason Colts' game. Don't forget to pack a well-filled basket with all your best foods! Mix together the first six ingredients, and beat until creamy. Sift together the rest of the ingredients, and stir into the creamy mixture. Chill dough overnight in the refrigerator. Pinch off dough, and roll between palms into balls the size of a small walnut. 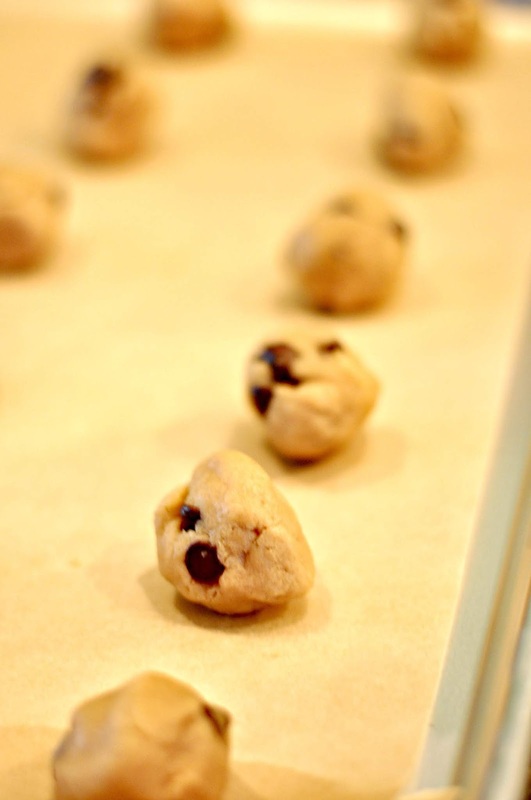 Place 3 inches apart on a lightly greased baking sheet or parchment paper. 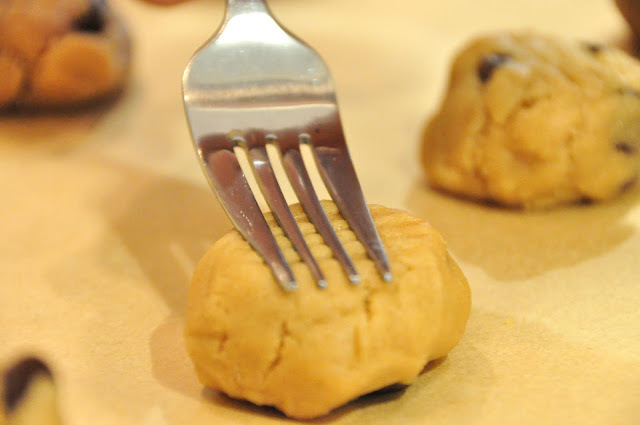 Flatten cookies with a fork dipped in flour, making a criss-cross indentation. Bake at 375 degrees for 10-12 minutes. 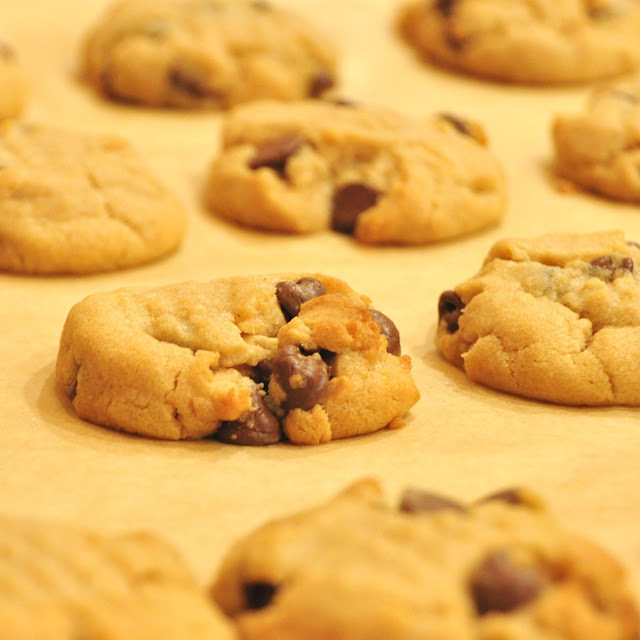 Cookies are done when they are set and puffy. Do not let go flat!